Getting ready for the holidays? 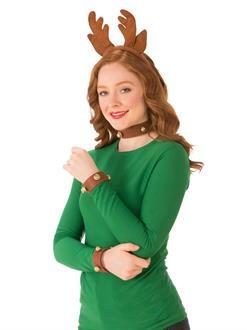 Then pick up your Reindeer Kit! This awesome kit has everything you need to spread the Christmas cheer, reindeer style. And who doesn't love reindeers? There's Rudolph, Blitzen, Dasher, Prancer, Vixen, Donner... and tons more! Buy your Reindeer Kit today, and then scan our site for some more Christmas accessories and decorations!